Danuzca joined Victor's Vision in 2017 when she was 15-years-old. She joined the program because she wanted to learn new things, and to have the power to better herself as a person. Danuzca lives with her mother, aunt, grandmother, older sister and younger sister, Gladys. Her mom and aunts are cooks. Her parents are separated - her father is a carpenter - and she has an older brother who lives in Lima. "My chosen profession is biology or veterinary medicine; I want to go to university in Lima to study marine biology or jungle animals. I like Victor's Vision because of the lessons that it gives: how we can unwrap and develop ourselves, how we can develop new things or strengths that we have. I am very grateful to Victor's Vision for the opportunity it gives every student to empower themselves to improve and to make us people that move forward developing ourselves even more." 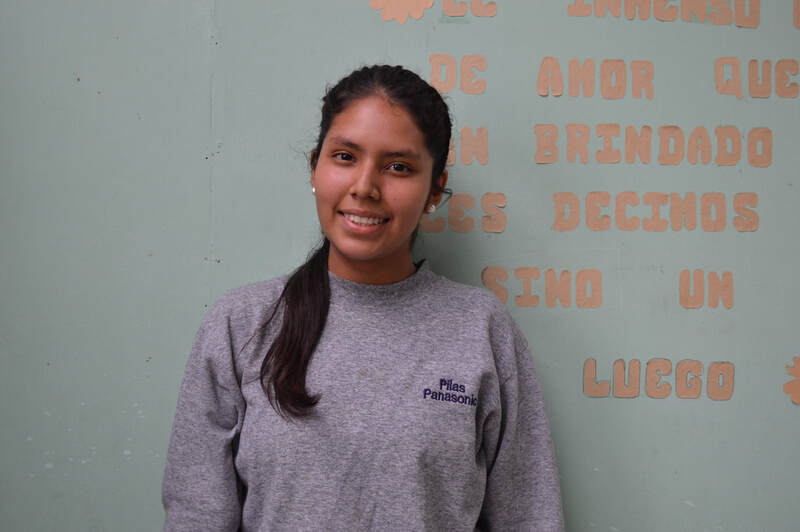 Danuzca successfully graduated from high school and Victor's Vision in December 2018 and is currently applying to university.